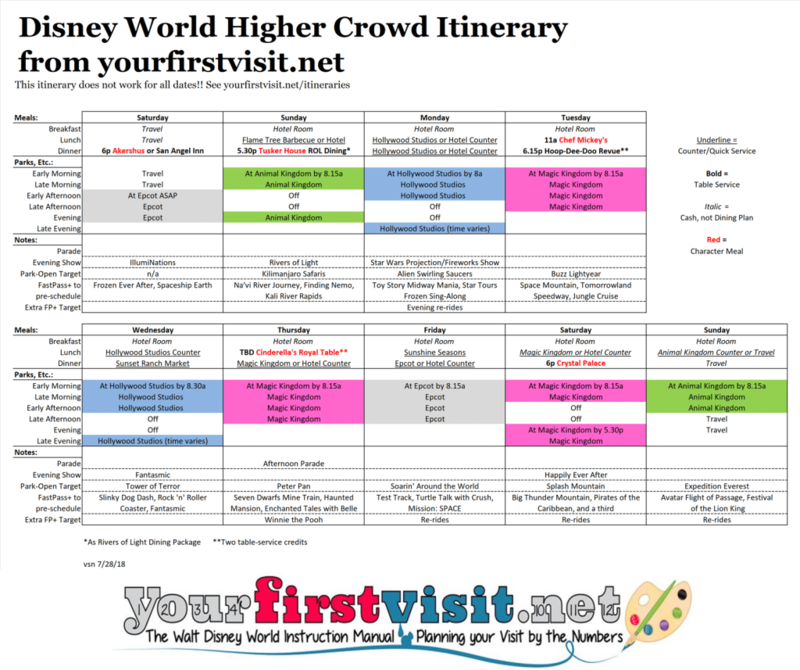 Below is my FastPass+ based Disney World itinerary for higher crowd weeks. Updated in July 2018, it includes guidance for the new Toy Story Land at Disney’s Hollywood Studios. On its first Animal Kingdom day, it uses a Rivers of Light Dining Package to save a FastPass+. Note that this package is available sometimes only 3-4 months ahead, rather than the 180 days ahead that most dining is available. This itinerary does not work all dates, and some dates that it mostly works it may need some little adjustments. Check your week here. As in all images and tables on this site, click it to enlarge it. 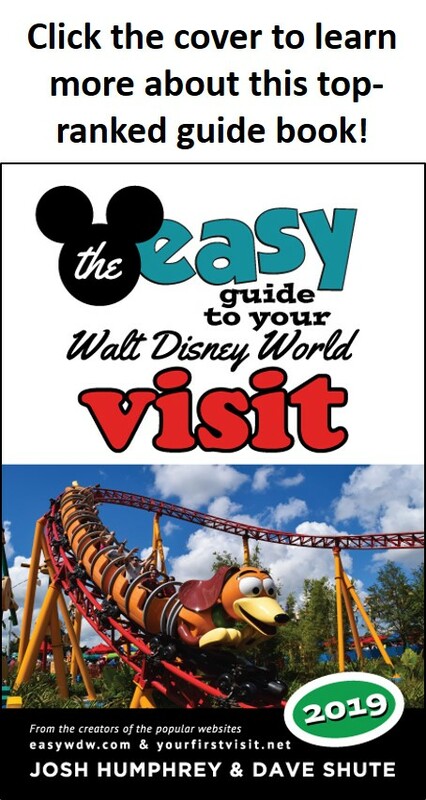 The recommended dining reservations and FastPass+ that make it work are in the To-Do List.